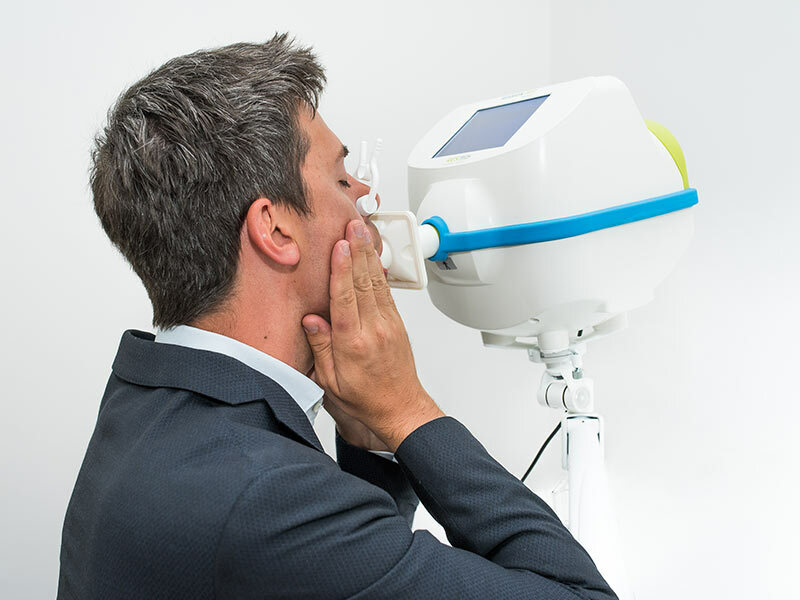 Medical device for daily monitoring of lung function and automatic detection of incoming disease exacerbation. Resmon PRO DIARY is a medical device specifically developed to measure accurately the lung function using FOT and monitor patient’s status at home on a daily basis and with no need of direct medical supervision. Its user-friendly interface leads the patient through the measurement session that can include customizable questionnaires to collect patient’s symptoms or other physiological measures such as level of oxygen saturation and body weight. At the end of each measurement session, innovative proprietary algorithms analyze the data and alerts are automatically sent to medical staff in case an increased risk of an incoming exacerbation is detected. 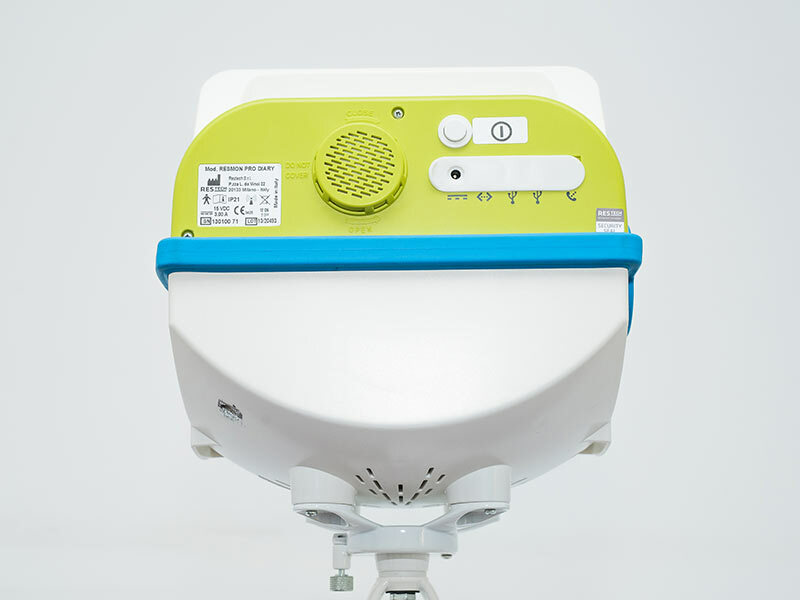 Such algorithms have been validated in a multicentric international clinical trial (CHROMED trial) that showed that home monitoring of COPD patients at home using the RESMON PRO DIARY is feasible and helps reducing the number of hospitalization and costs to manage the disease. Restech announces the clinical validation of the RESMON PRO DIARY to remotely monitor COPD at home. How does Resmon PRO DIARY work? 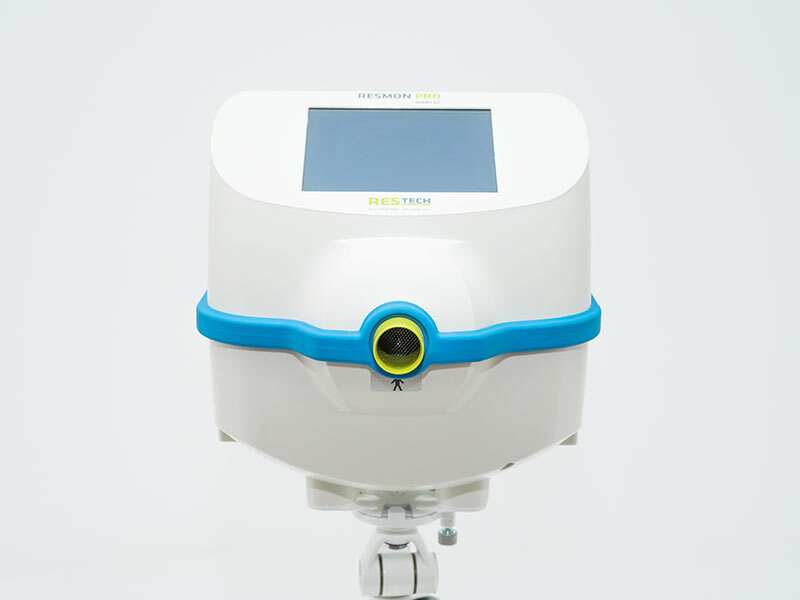 The device is based on the analysis of the respiratory system’s response to small pressure signals. The test consists in breathing quietly for 2 minutes in a mouthpiece connected to the device. It is not required any forced manoeuvres, i.e no need of efforts as in spirometry. 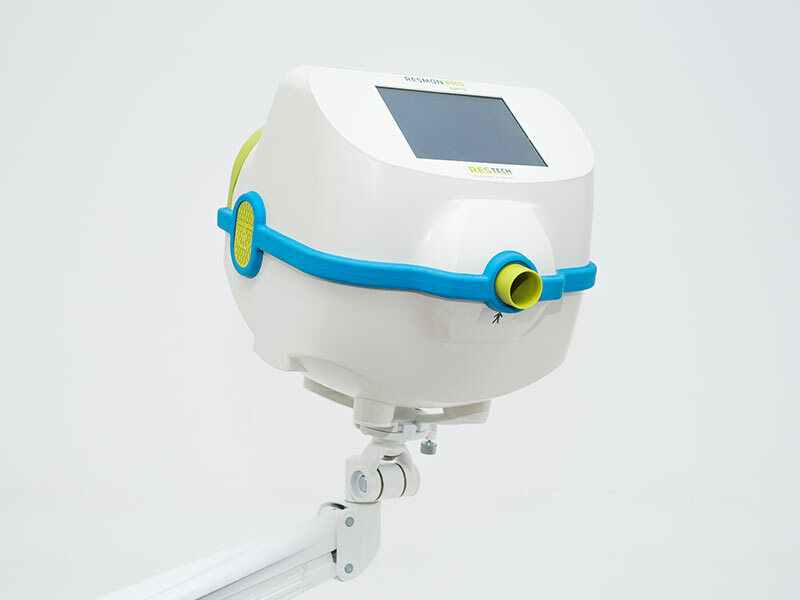 Optionally the device can include symptoms questionnaire or request other physiological values such as body weight and blood oxygen saturation. At the end of the test data are automatically sent to the healthcare provider. Which frequencies are used for the measurement? 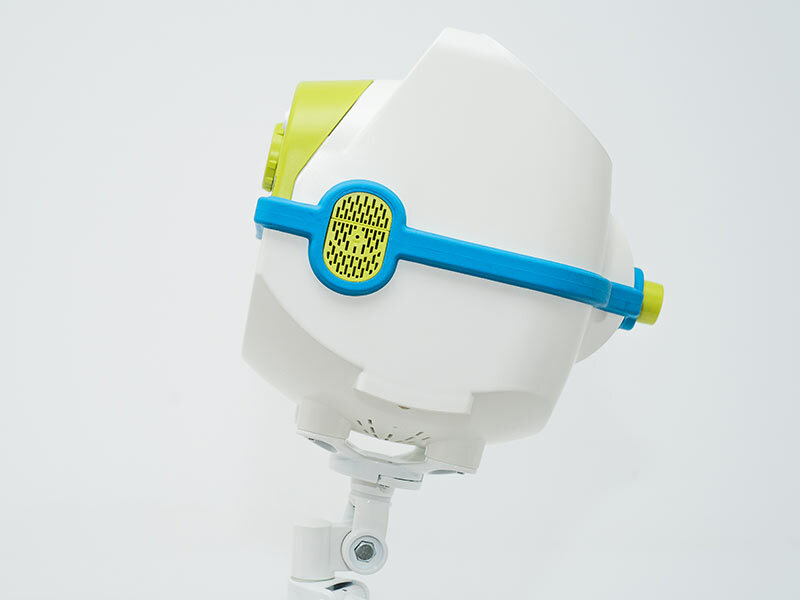 To increse the quality of the measurement eve in severely obstructed patients, RESMON PRO DIARY is preconfigured to use 5 Hz as stimulating frequency. Enhanced optimized PSRN signal at 5-11-19 Hz can be optionally configured. RESMON PRO DIARY is the core of the remonte monitoring system for COPD patients distributed by VIVISOL srl in the following countries: Italy, Germany, United Kingdom, France, Spain, Belgium, Netherlands, Luxemburg, Austria, Portugal, Turkey, Greece, Slovenia and Switzerland. If you are interested in alternative application, please contact directly us.